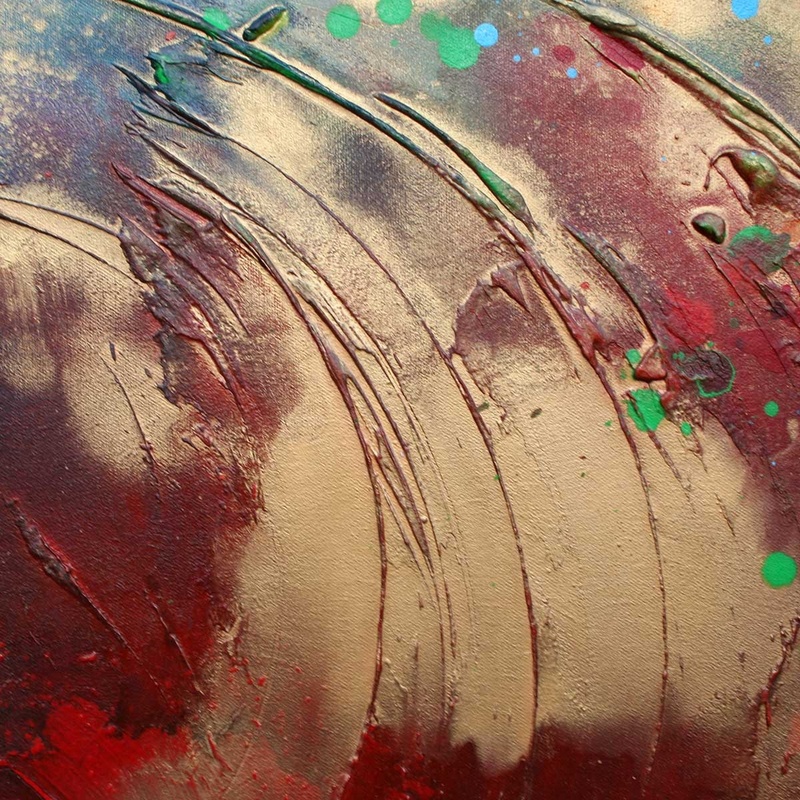 Modern abstract art, wave style painting in blue, metallic gold and red. A Modern abstract art, wave seascape painting in reds & blues with accents of vibrant metallic gold. 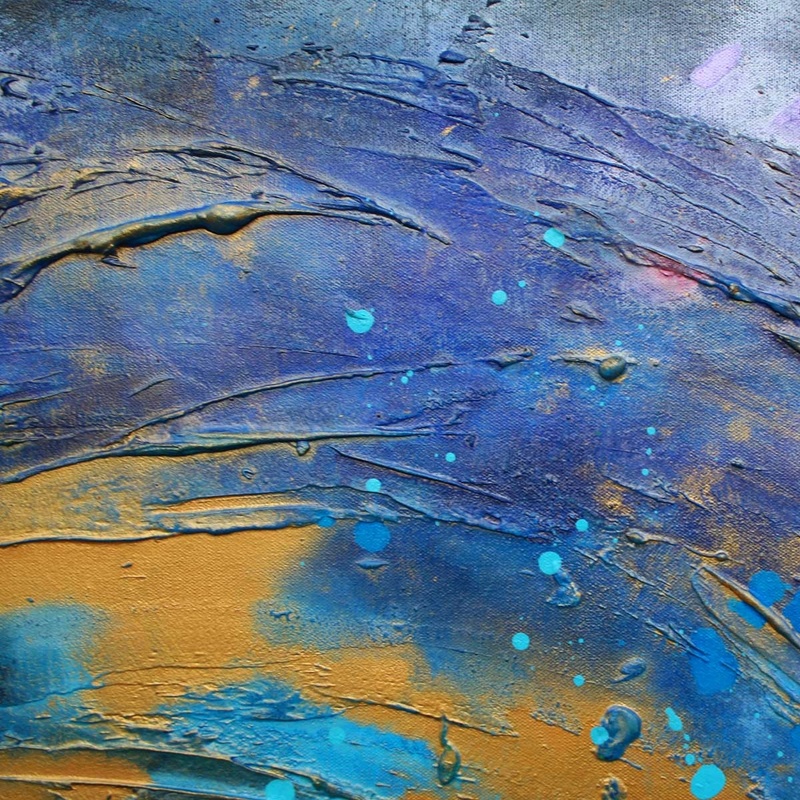 This affordable abstract art painting for sale has strong lines and great colours. a dramatic canvas wall art picture with great detail! COLOURS: Vibrant blues, reds, hints of orange and green, with washes of metallic gold.